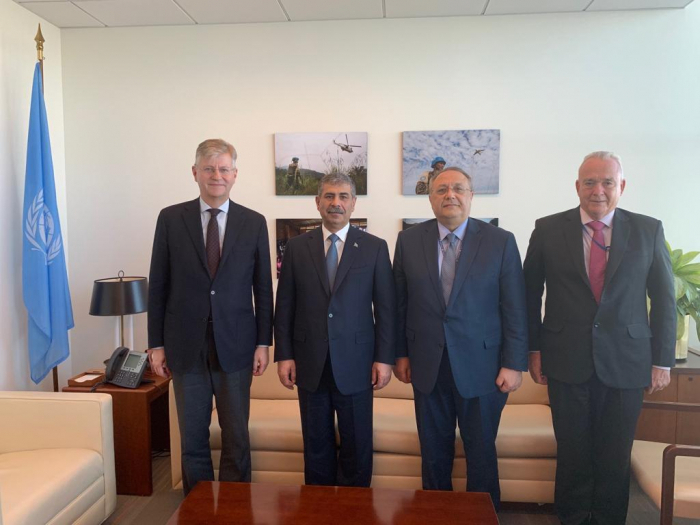 Minister of Defense of the Republic of Azerbaijan Colonel General Zakir Hasanov has met with the United Nations Under-Secretary-General for Peacekeeping Operations Jean-Pierre Lacroix, AzVision.az reports citing the Ministry of Defense of Azerbaijan. Jean-Pierre Lacroix highly appreciated Azerbaijan's participation in peacekeeping operations in Afghanistan and participation of Azerbaijani military serviceman in South Sudan as continuation of Azerbaijan's support to the international security. 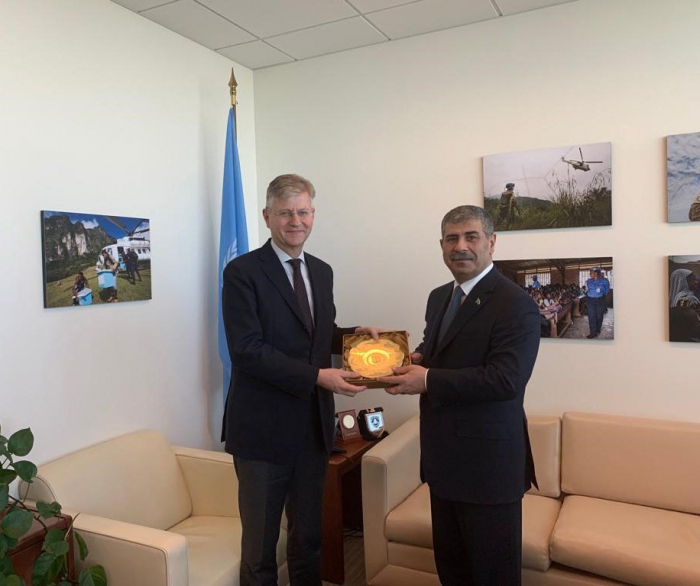 Colonel General Zakir Hasanov also expressed his gratitude to the United Nations Under-Secretary-General for his attendance at ministerial-level meeting of countries contributing to the UN peacekeeping operations. Speaking of the military-political condition in the region and the Nagorno-Karabakh conflict between Azerbaijan and Armenia, defense minister drew attention to the fact that Armenia has not yet implemented four UN Security Council resolutions. 'Azerbaijan is adhered to the peaceful settlement of the conflict. 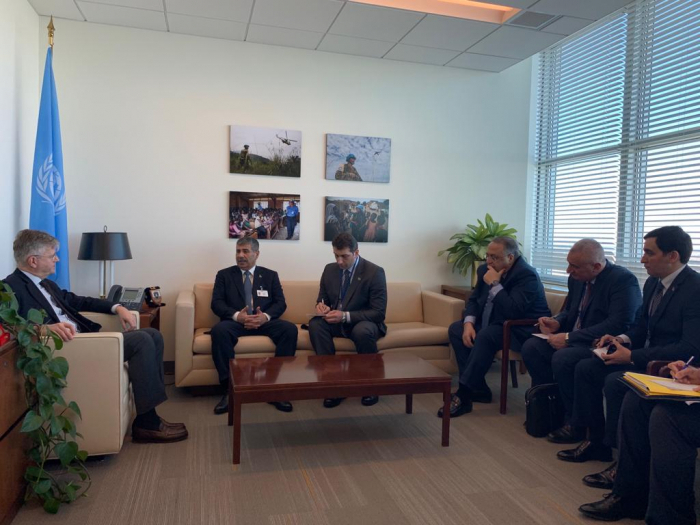 However, Azerbaijan also reserves the right to undertake all necessary measures stipulated by the UN Charter to liberate the occupied territories,' Azerbaijani defense minister noted during the meeting. Participants of the meeting also exchanged views on perspectives of Azerbaijan's participation in peacekeeping operations.